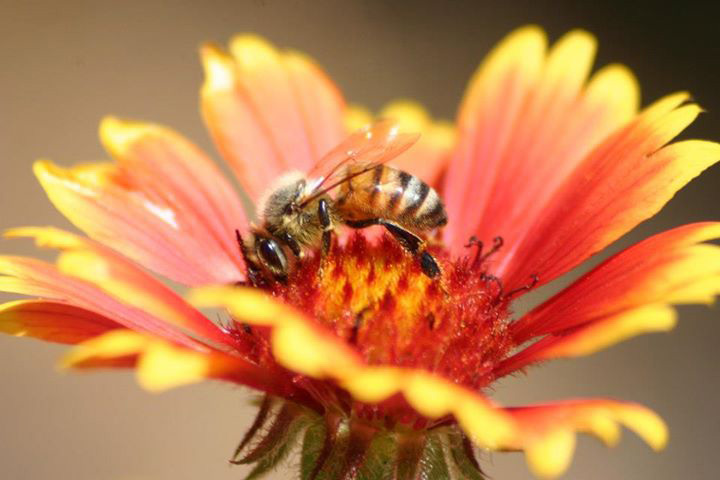 Featured artwork is photography by Cara Kennedy. All the photos were taken with a low-tech Holga film camera. The film was then developed and digitally scanned, worked on a bit in Lightroom, and then printed as a digital image. Most of the pictures are of surfers in Hawaii, but then there are a few other images of London, Chicago and the Grand Canyon. 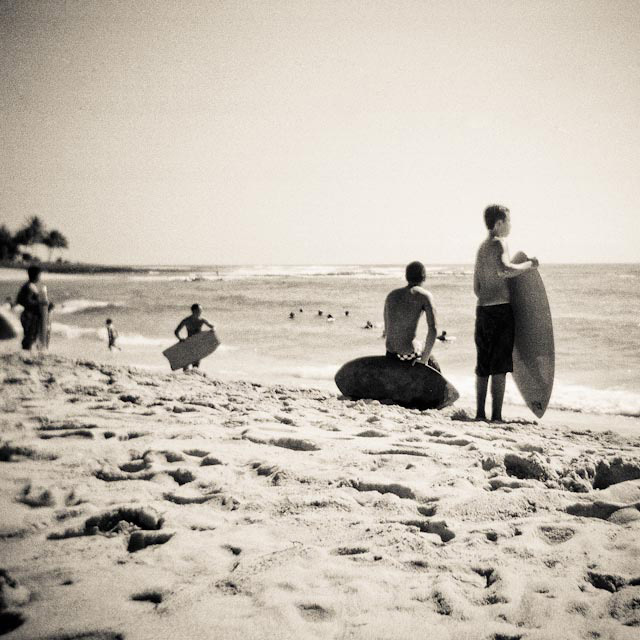 Using the Holga is fun and adds a vintage feel to the images. Open only until 8pm. Water color paintings from people with dementia through the Elderwise Program. Artist present. 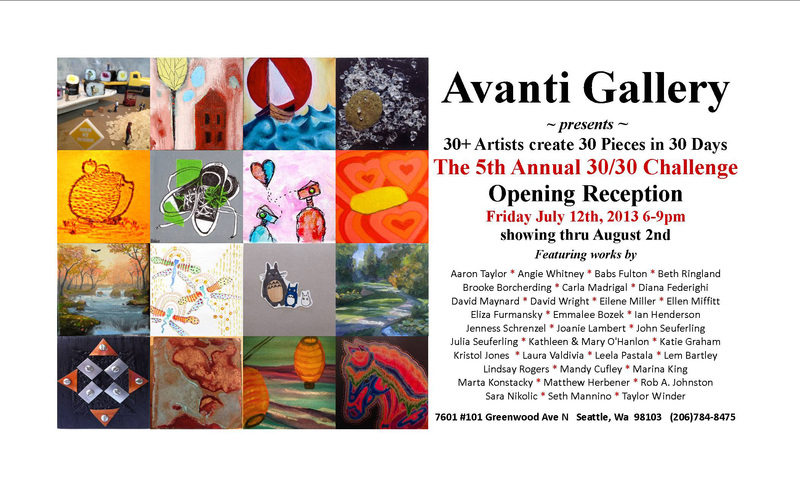 Avanti Gallery presents The 5th Annual 30/30 challenge in our new location, featuring over 1000 works by 30+ Artists, creating 30 pieces in 30 days of June; paintings & mixed media on canvas & paper, photography, 3D sculpture & more showing through August 2nd, 2013. Feturing: Aaron Taylor, Angie Whitney, Babs Fulton, Beth Ringland, Brooke Borcherding, Carla Madrigal, Diana Federighi, David Maynard, David Wright, Eilene Miller, Ellen Miffitt, Eliza Furmansky, Emmalee Bozek, Ian Henderson, Jenness Schrenzel, Joanie Lambert, John Seuferling, Julia Seuferling, Kathleen & Mary O’Hanlon, Katie Graham, Kristol Jones, Laura Valdivia, Leela Pastala, Lem Bartley, Lindsay Rogers, Mandy Cufley, Marina King, Marta Konstacky, Matthew Herbener, Rob A. Johnston, Sara Nikolic, Seth Mannino, and Taylor Winder. Artists present. 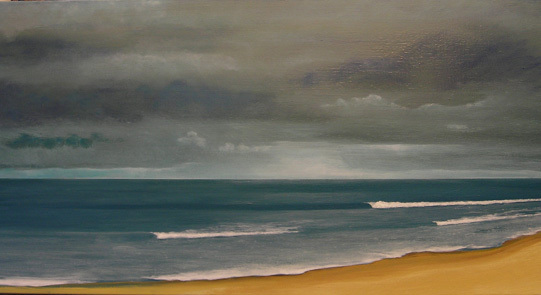 Bherd Gallery artist & owner, John Osgood, presents a live progression of his painting process during the month of July. Canvases in progress will be hung from the walls throughout July as Osgood goes from start to finish as the month progresses. During the art opening the artist is encouraging audience participation by suggestions of color, composition and subject matter. Artist present. Photography by John Lozano. Artist present. Artwalk Special featuring a Margherita Pizza and a glass of our house red or white wine for $15. Normal pricing is as follows: $13 for a Margherita pizza, $6 for a glass of our house wine. $4 OFF. Live Music by Low Tide Drifters –PNW Folklore Society Concert 7:30pm. What is Sketch to our artists? A loose idea, scribbles on paper, fine lines, a dream quickly captured, or possibly the beginning signs of something greater. Join us on July 12th to see. Featuring artists: Alexandria Sandlin, Christopher J Olson, Maxx Follis, Artifakt Ripley and Xavier Lopez Jr. Every month we put our 5 brains together to bring you a new art show. Festivities start at 6pm and last late. You can come in around 3pm for a preview or anytime you see our sign out (look for the crown!) Artists present. 3-d color and black and white pen and ink drawings by Phil Keane. Artist present. Copies of Oil paintings, fine art Photography and acrylic paintings by Patrick Gonzales, Alexis Henry and Joh Moore. Artists present. 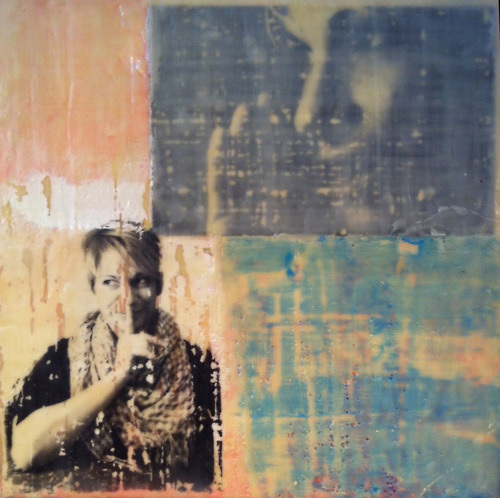 The encaustics showing at Makeda Coffee are selected paintings of Carissa Meier’s work from 2010 to 2013. These pieces explore relationships, truth, and identity; within the relationship between beeswax, color, and imagery. The encaustic process as a medium is fitting due to its layered nature as the beeswax allows for clarity, translucency, or mystery. The concepts took shape on their journey with the wax; and the images were transferred and manipulated using the encaustic processes of heating, layering, burnishing, painting, and incising. Artist present. 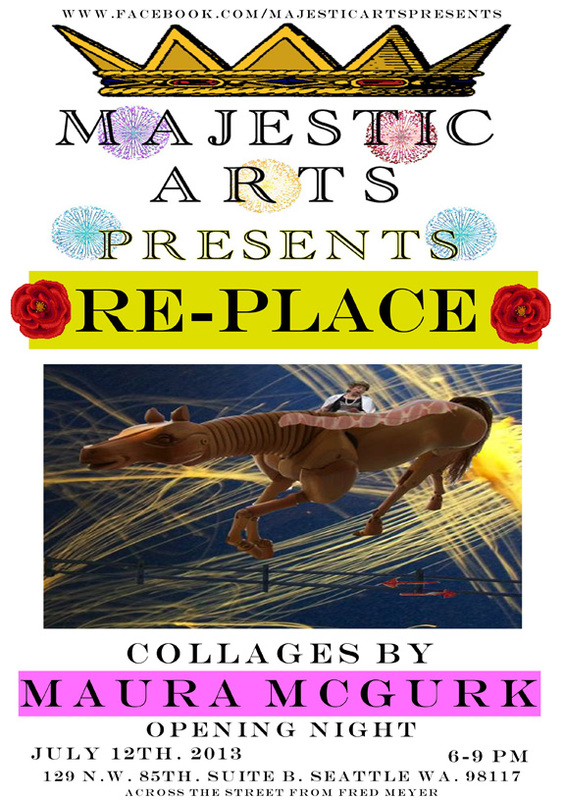 This month Majestic Arts Presents is excited to have Maura McGurk as a our featured artist! She recently moved to Seattle. We’re happy to have such a gifted artist in our communtiy! Her show is entitled” RE-PLACE” in honor of her move here. Come and welcome Maura and see her display of collages. On view July 12th.-26th. 2013. Opening reception is Friday July 12th. 6-9 pm. Gallery hours: wed. thursday friday 3-6 pm. Sat.-Sunday noon-6 pm. and by appointment. Right across the street from Fred Meyer’s. Sculpture, mixed media, collage and drawing by Amanda Sanford. Artist present. Rotating monthly artwork by local artists. Artist present. Drie Chapek’s work is emotional and physical. 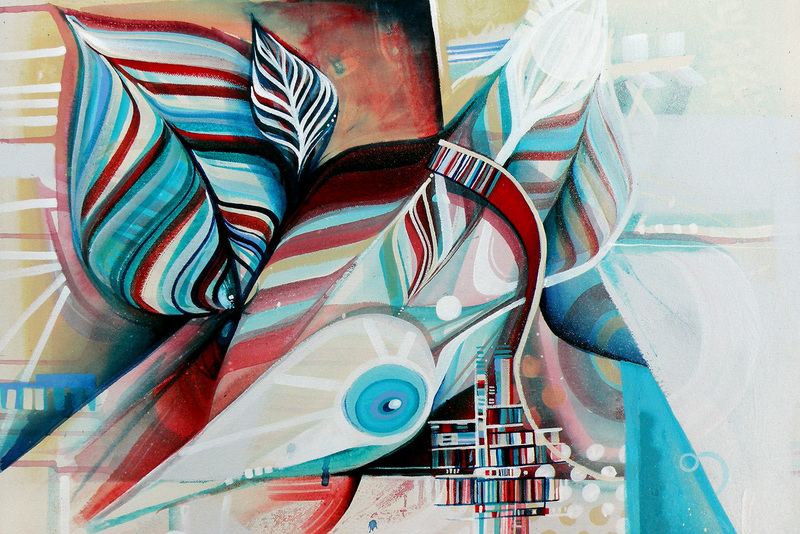 She uses brush work, texture and color as codes to convey inner self portraits. Ambiguities of space and scale, the relationship between the micro and the macro are explored as they relate to the viewer physically and visually. Her surfaces are poured on, built up and torn down-aggressive textured layers in one moment become gently coaxed brush strokes the next. Greyed cool colors come from the intelect and force tension upon warm colored massive physical forms. The work is intended to be experienced as an installation on canvas, a raw painting left open to be completed by the veiwing experience. Artist present. Acrylic on canvas art by Ariel Millihart. A chic display of fantastical freaks presented in acrylic on canvas with bling! Come see mystical creatures, undead pinups and blossoming beauties! A bright lurrid funhouse of magic and thrills. Artist present. 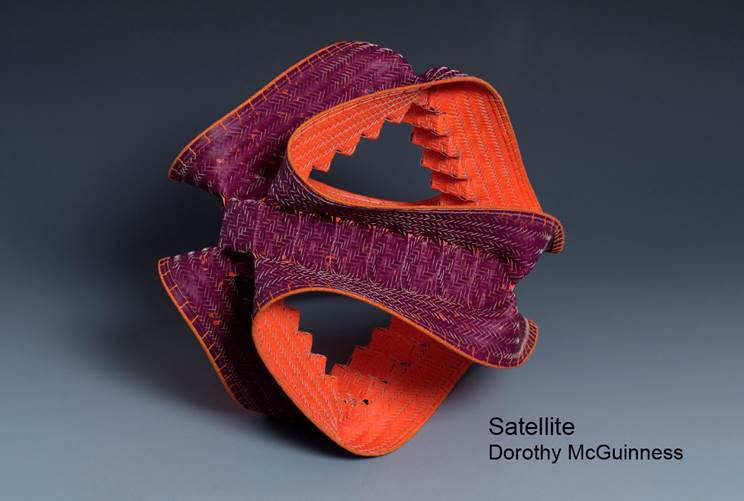 The Phinney Center Gallery will showcase the work of Dorothy McGuinness, winner of the 2012 Northwest Fine Arts Competition, in June and July. Dorothy McGuinness is a contemporary basketmaker who weaves hand-painted watercolor papers. She designs and discovers new shapes, possibilities and weaving innovations by approaching most of her work as a type of puzzle. Stop by for light hors d’oeuvres and beverages. McAtee has amassed quite the collection of urban and natural scenery from local landmarks to exotic vistas, all the while providing a viewpoint that is distinctly different and transports the viewer to another world. Joel chooses to work with traditional film cameras, then creates traditional silver gelatin prints or Giclée prints on canvas. Joel tends to prefer black and white images, because it further abstracts the image from the actual space and time it was recorded. His subjects are ‘landscapes’ that attempt to find the grandeur within the ‘ordinary’ and often overlooked. Artist present. July’s art walk at Tasty will be a very unique shopping experience. 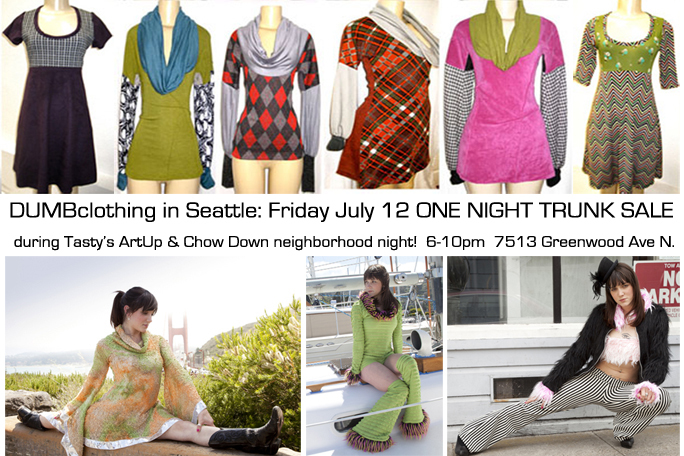 While our featured art exhibit, Hot Rods & Honey’s remains up for all to oogle, we’ll be hosting a clothing designer from San Francisco inside our shop on Friday, July 12th, from 6-10pm. Paula Fletcher is one trouble-making, hyper-creative Scorpio, who can make a dress and pair of pants in 20 minutes – and takes living on her own terms, as literally as one person can. Fashion designer of 15 + years, her label, Dumb Clothing, is worn and sold all over the country. From a stand at outdoor craft markets in Seattle and Portland, to a storefront in Soho, to pop-up retail trunk sales, to its current happy home in San Francisco, Dumb Clothing has paralleled the free-spirit of its creator and founder. Dumb Clothing is about having a sense of humor and feeling free enough to express yourself with your clothing. Being stopped on the street to receive compliments is the added bonus. COME GET YOURS! Art Up night at Tasty. Drawing inspiration from The Abyss, Prometheus and various deep-sea creatures, Alexis Witt has created a quaint goulash of undersea art. All the pieces are “blackground” and oil on canvas. Artist present. Contemporary monthly rotating artwork by local artists. Paintings, drawings, sculpture, and jewelry by Scott Faulkner, Dalton Webb, Tom Dougherty, John Schmeising and Pamela Faulkner. Artists present. Oil on canvas by Gary Miller. These paintings are floral organic shapes and expressionist land and seascapes. I try to make the familiar somewhat unfamiliar and fresh. *Venues offering discounts and specials during artwalk.